Here is something of considerable substance: the weight of your home’s roof. 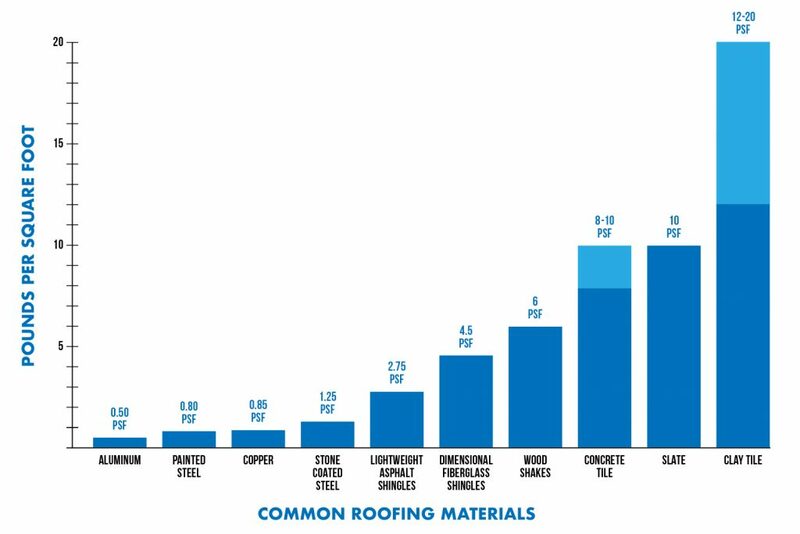 How much do different roofing materials weigh? How does roof weight affect your home’s energy efficiency, value, and other things? Read on as we address those questions and more. How many layers of roofing do you have? Keep in mind that, depending on installation, one layer of asphalt shingles can look like two layers at the bottom edge of the roof. What is the “base” at the bottom of your roof? Solid decking such as plywood or OSB? Closely fitted dimensional lumber? Spaced-apart lathe boards? In what kind of condition is that material? The above questions assist in determining how much weight is on your home’s roof now, and also how capable your home is of supporting that weight. While the saying goes that “they don’t build them like they used to,” the reality is that structures weaken with age. Maybe a little moisture infiltration here, a few structural changes there, several punishing storms and wind events, years of thermal cycling…all of those things take a toll on a structure. As a home ages, it does lose strength. So, the concept of “taking a load off” and reducing the overall pressure on the home through a lower weight roof can be very helpful at restoring and preserving structures that may have been built even as recently as 40 or more years ago. We remember a roofing contractor of several years ago who promoted low weight roofing with a cartoon image of an elephant dancing on a roof. While comical, it was a reminder that, while an elephant may weigh around 10,000 pounds, an average size home with two layers of asphalt shingles on it may have the equivalent of almost two elephants dancing around on it! That can be a significant burden for a home, regardless of its age. If you live in an area prone to seismic activity, a low weight roof can help protect your home in the event of an earthquake. In 1995, a devastating earthquake shook Kobe, Japan. It was observed after this tragedy, that homes with heavy tile roofs often sustained the most severe damage. After that, Classic Metal Roofing Systems began exporting a significant volume of low weight aluminum roofing to Japan so that they could rebuild with lower weight roofs. Additionally, if you should ever be the unfortunate victim of a home fire, a low weight roofing system can also protect the structure by not caving in, increasing the time firefighters have to put the fire out. As you consider what type of roof is best for your home, one consideration will be whether the old roof needs to be removed, or not. In some cases, based on the type of roof it is and the type of roof you’re installing, it may be necessary to remove the old roof. Also, building codes usually limit the number of layers of roofing to two layers. As you undertake the calculation of the load on your home, you might want to allow for the fact that many roofing materials lose weight as they age – granules wear off, and oils evaporate. An aged asphalt shingle may weigh 30 – 40% less than it weighed when it was new. It is not uncommon for metal roofs, with their extremely low weight, to be installed over existing shingle roofs. While we are always happy to consult on individual cases, we generally support that practice and even offer Speed Trims that allow the new roof to accommodate existing drip edges. While we also sometimes see folks “bend the rules” and install metal over two or even three layers of shingles, we advise great caution before doing that. Even if doing so will not violate a building code, it could end up being a red flag for a home inspector or mortgage company in the future if you decide to sell your home. Home Value. The cost to dispose of old roofing materials is getting quite exorbitant in many areas of the country. Therefore, saddling your home with a heavy roof that will someday have to be removed and exposed at great expense can be a detriment to your home’s value. Increasingly, when they buy a new home, homeowners are looking not only at the purchase price but also at the anticipated maintenance costs represented by that home. Choosing a long-term and low weight roof, therefore, can increase a home’s value and desirability. Energy Efficiency. While many people worry that the “mass” of their roofing system might cause their home to be hotter in the summer, it really doesn’t work that way in most residential construction. During the summer, the heat source is the sun outside of your home. The more mass and inherent R-Value held by the roof system, the harder it is for that heat to enter the attic. 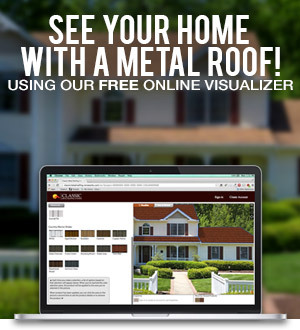 A metal roof with a reflective coating can offer an additional barrier against heat entry. Any heat that does get into the attic is ideally directed back outside with proper ventilation. Insulation on top of a home’s ceilings, then, serves to hold heat inside the living space during the winter and also to prevent heat from migrating from the attic into the living space in the hot months. Security. Heavier weight roof systems often depend upon gravity or failure-prone sealants to hold them together and also to keep them attached to the roof deck in high winds. Additionally, many of those products become brittle and less wind-resistant with age. Ultra-low-weight roof systems, such as metal roofs, depend upon mechanical interlocking for wind resistance; something much more reliable. 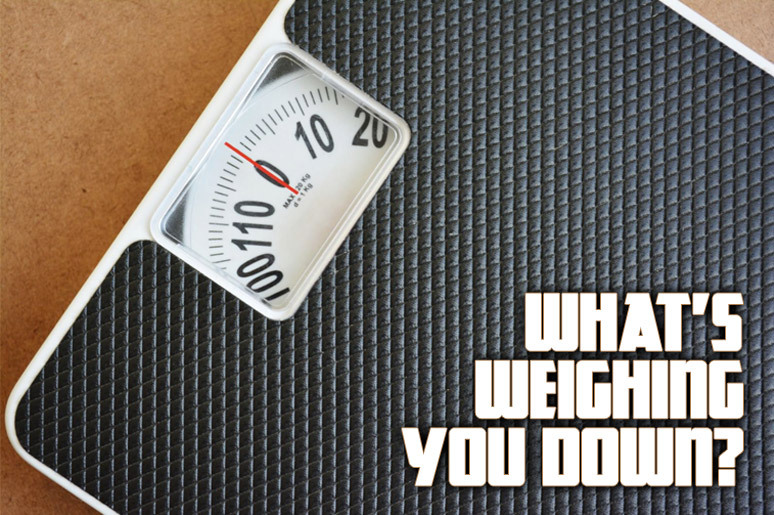 The weight of your roof is an important consideration. Low weight roofing can protect a structure in many ways and is well worth considering both for new construction and re-roofing. Want To Keep Tabs On Us? Buying a new roof is a big decision and we know you will be doing your research. If you're still in the early stages and just want to keep in contact with us, sign up for our monthly email newsletter. Over 15,000 homeowners subscribe to our newsletter for its fun and informative content on home maintenance. Plus it's a great way to stay in touch!